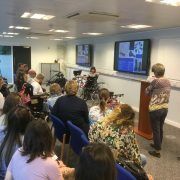 Queen Margaret University (QMU), Edinburgh, teamed up with the Cerebral Palsy International Sports and Recreation Association (CPISRA) and researchers at Edinburgh University to stage its first ever public RaceRunning seminar on Saturday 27th May 2017. 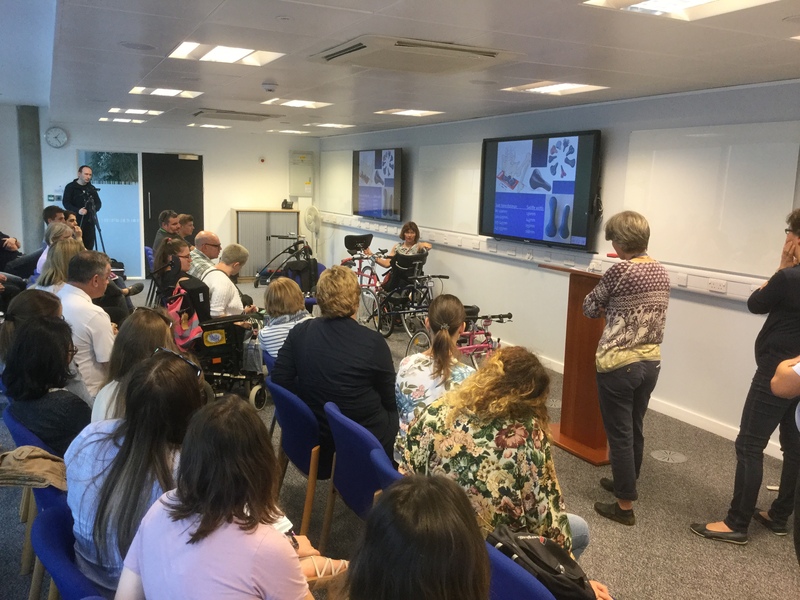 Physiotherapists, students, athletes and their parents, researchers, and representatives of local leisure and sports clubs from across Scotland and beyond came together on the university campus to find out more about RaceRunning and its associated research. Guest speakers included the Danish co-founder of RaceRunning, Connie Hansen. Topics of discussion also included an athlete’s perspectives of the sport, which was delivered by Gavin and Peter spoke on the role and aims of CPISRA.